This is, to be honest, a rather pointless post. An excuse for photobombing. I’ve had a difficult few weeks dealing with a frail and very vulnerable pair of elderly relatives, and while that’s thankfully looking as though we’ll have a resolution soon (moving them into a care home much closer than the 120 miles each way that I’ve been driving weekly) I’ve noticed that it’s been little things that have helped keep me on an even keel. One of those things has been autumn. We’ve had a spectacular autumn in the UK so far. The cool spring, long hot summer, and the Indian summer that was September have all contributed to an intensity of yellows, oranges and reds that I just don’t remember seeing before. This is autumn+. Rich, glorious hues everywhere. And I live near Sherwood forest—yes, that Sherwood forest – in the most wooded, forest-y part of the country I’ve ever lived in. I’ve got nearly 50 trees in my garden alone, for heaven’s sake. Everywhere I look, there are trees. Everywhere I look. there’s an explosion of colour. 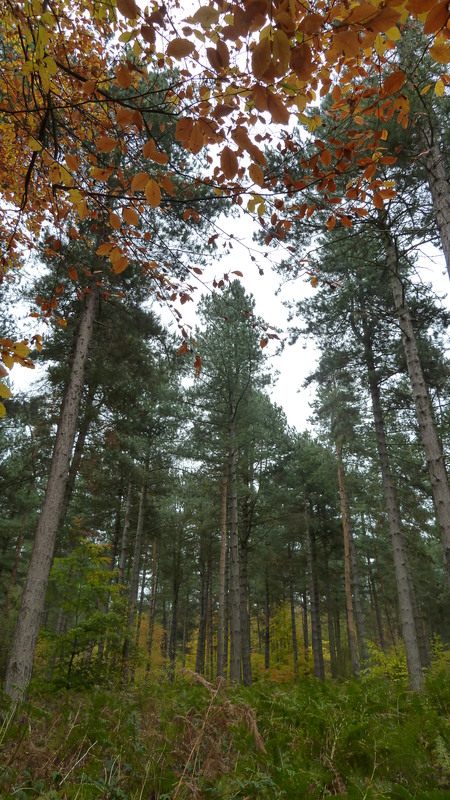 The wood in these photos is five minutes walk from the edge of my village. That’s me and the dogs you can see there, btw, Molly being the larger brown speck and Mavis the almost invisible gold one. Both of them are well camouflaged at this time of year. 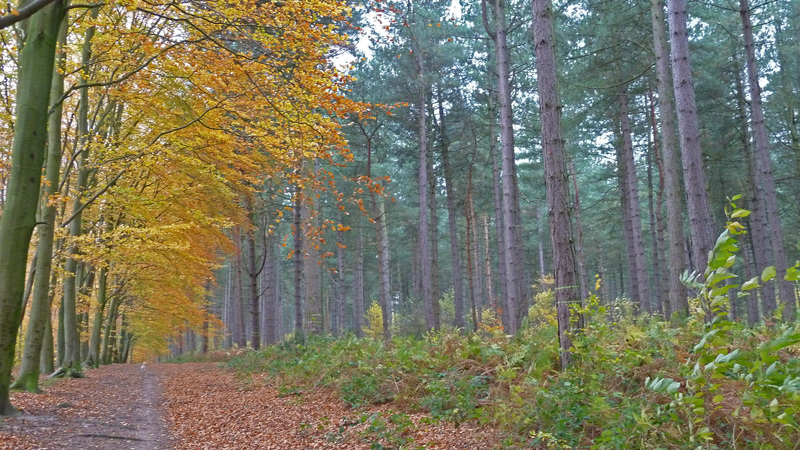 The woods are our favourite walk, and I hope you can see why from these pictures. That you can see why these ‘little things’ help unstress me—you, me, everyone —and lift the heart. 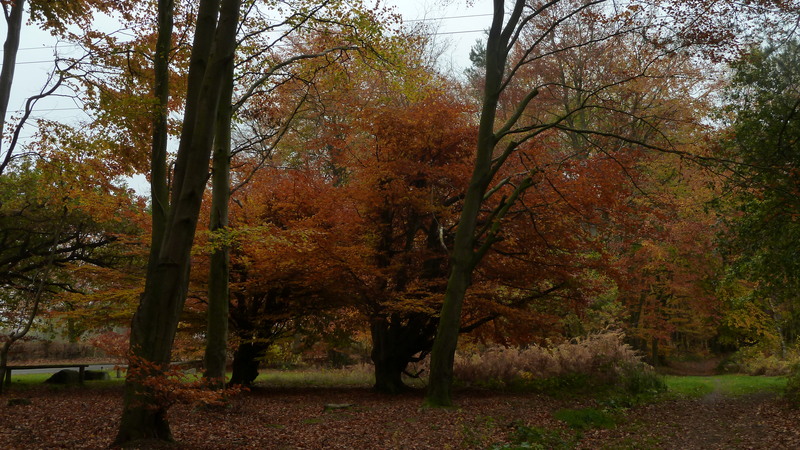 Just for a moment or two, nothing matters but the wonderful colours and the very ordinary, every day, nothing at all unusual beauty of an English wood in autumn. As for Mr Butler who took these photos, I’ve found that living with someone so compatible that we can say in unison, as if with one breath, “Just look at that yellow!” or “Toadstools!” with the same level of delight at the discovery despite our ages and the long years together… well, that’s pretty heart up-lifting too. Have a lovely autumn, people. Next Jamie Deacon’s “Defensive Play” out now! Gorgeous. 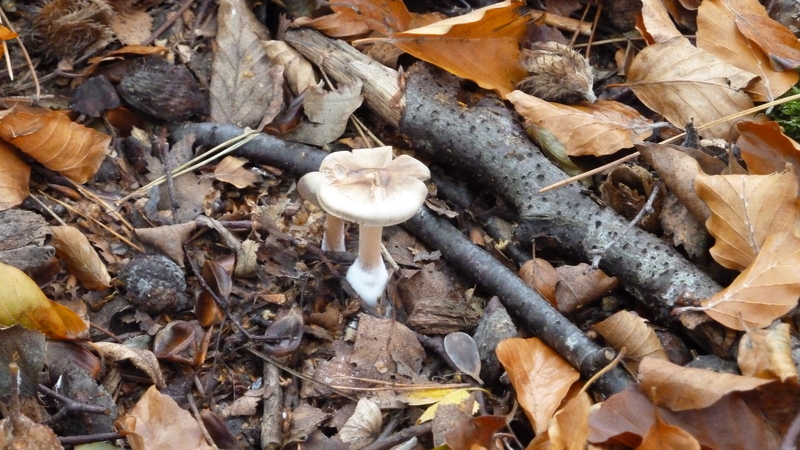 And OMG there is a fairy on that toadstool! Move over Conan Doyle, we have new fairy photos! Sadly, definitely a beechnut! 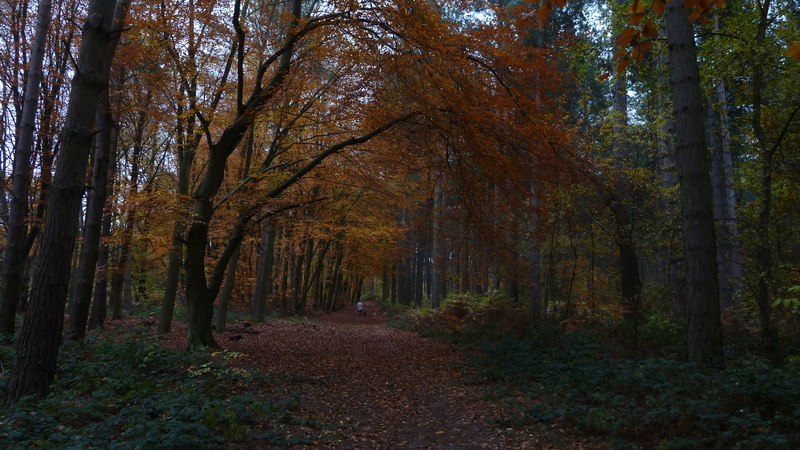 That part of the wood is full of beech trees. I have one outside my window – one of the only protected trees in the village (I have the rest of the protected trees elsewhere in the garden which is, I suppose, a sort of distinction!) – and it’s very profligate with flinging beechnuts all over the lawn. Do you think they made Beechnut chewing gum from real beech nuts? In which case I can set up a factory! Isn’t fall a lovely time of year? You’re earning feathers for your wings in heaven by helping your elderly relatives. Good job. I love autumn. I also love spring and winter when winters are cold, frosty and snowy. Sadly we mostly get warmer, very wet winters here, so it’s slipped down my list of favourites. Still, this time of year is just glorious, and makes me very prone to reflection and mellowness! I love my aunt and uncle dearly, but I’ll be very glad to get them into a residential home in the next town. It’s selfish of me, but it will make my life very much easier!